A broad look at the various types of seashells found along the Florida coastline and elsewhere. Most people visit the seashore on vacation and pick up souvenir seashells without having any idea what they are called or how rare they may be. On this page you'll be able to see pictures of the shells I have and maybe you will learn a bit about the ones you have in your collection. In fact, you may even have a rare shell and don't even know it! Respect for sea life is important and I hope that by learning about the mollusks who make these unique homes for themselves, that we end up enjoying, you will agree that they deserve much respect. Where can I collect big seashells? Everyone wants to stumble upon a magnificent, huge shell sitting in the sand. Everyone who strolls the beaches would love to find that one beautiful, large shell. Just imagine catching a glimpse of the protruding spire, with the rest buried in the soft sand, as the surf rushes out. You run to the spot before it's covered with the incoming waves and quickly dig it up. Wow, what a specimen! The beautiful queen, or pink, conch (pictured with a pink murex) is a threatened species. Conch meat is served in restaurants in the Florida Keys and tropics. And although this shell has been protected since 1985, it is making a slow comeback. If you are lucky enough to find a big seashell, it may be under water, and inhabited. Even if the mollusk has died and left the shell empty, often hermit crabs and other living organisms take up residence. Take a photo and leave the shell where you found it. It is almost always illegal to collect living creatures from the shore, including occupied seashells. 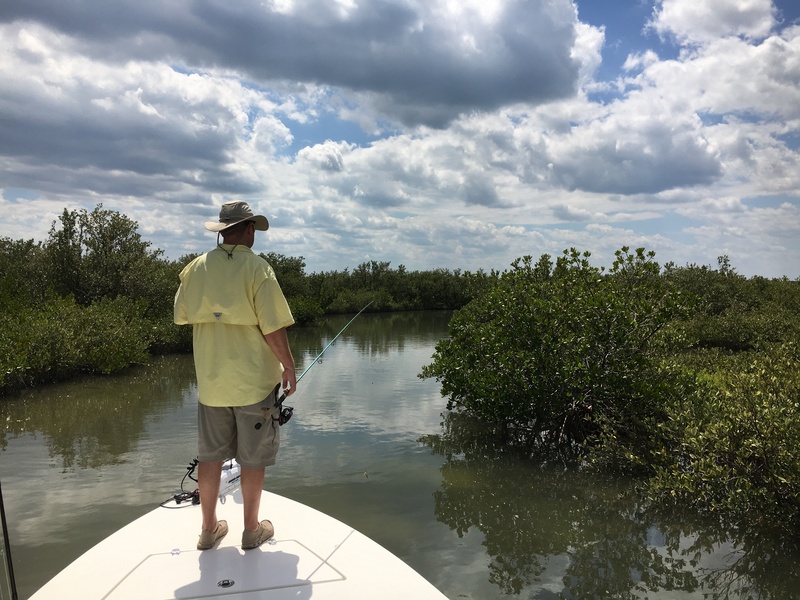 I live near the East coast of Florida and go boating and fishing on the Intracoastal Waterway often. Out on the river and in the backwaters is where I find the best seashells. Often they are occupied by hermit crabs, or by the mollusk itself. But they are fun to photograph. The east coast beaches also occasionally have interesting shells to collect, but they are rare finds. Often I will walk around the jetty and inlet area and find some interesting seashells there as well. Long ago my son found this big shell when we stopped on an island while boating along the Indian River in Florida. The mollusk was inside, so we got this photo and put it back into the water. Finding big shells is exciting! Take a photo and put it back. What is a whelk shell? It can be confusing as to what is a whelk shell, and what is a conch (pronounced "Konk"). In general, a conch shell is large and heavy. It's thicker than whelks, which are lighter, yet can still be quite large. These are the four larger whelks you may come across in certain areas of Florida. The shell my son is holding is a big Lightning Whelk. They open on the left side, which is unique for gastropods, and can grow to be over a foot in length - up to 16 inches. When I took that photo I had no idea what type of shell he was holding, but the left side opening gives it away. Recently, while boating, I found a partial Channeled Whelk, and I've found cute Pear Whelks but all were inhabited by hermit crabs. This big seashell had the orange mollusk inside. I got some photos and put it back on the sand. These books target Florida beaches specifically. Find a book that identifies seashells where you live. One of my Seashell books is the Witherington's "Florida's Living Beaches"
This book covers more than just shells. I have a few good shell collecting and identifying books. 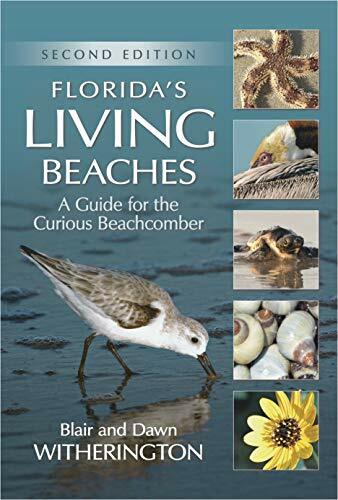 The "Florida's Living Beaches" book listed above (the 2nd edition is shown, I have the first), by authors Blair and Dawn Witherington, is a comprehensive guide to the beaches of Florida. Each separate area of the book takes a close look at an aspect of seashore ecology. It has a section with pictures of shells that are commonly found along the expansive coastline. You will also discover the best areas of the state to find the more rare types of shells. Any nature lover will enjoy this book. 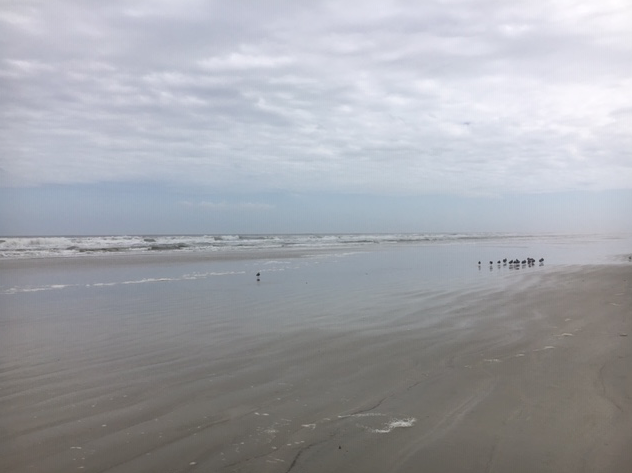 The book includes lots more information about how beaches are created, and the ocean water that contributes to coastal habitats. It covers dune plants, land mammals, birds, fishes, tides, and more. Each page is packed with photos, and the writers include fun tidbits of information in the "Did You Know?" sections. These are the two types of seashell. One is a single coiled piece, and the other is two connected parts. All the shells you see dotting the beach were made by the creature who lives (or lived) inside. The mollusk is a marine snail and it's life becomes a work of art in the form of it's shell. Mollusks can create a shell that is either all in one piece, or in two sections that are hinged together. The snails that create one, coiled shell are called gastropods, or sometimes "univalves", while the bivalves are the ones with two separate shell parts, like clam shells. Generally, the difference in the shells depends upon the lifestyle of each. Gastropods crawl along the ocean bottom or among coral using a strong "foot" in search of food, while the bivalves attach themselves to something and are stationary, grabbing food as it flows past. My picture here of the King's Crown conch is an example of a gastropod, while clams, oysters and scallops, like the Kittenpaw shell is a bivalve. All seashell photography on this page is my own, unless otherwise stated. My pictures are NOT free for use by others for any reason. Bivalves live as two connected halves. You may only find one half of a bivalve on the seashore. Bivalve shells are simply shells that were formed in two parts, such as the cockle shell, clam, scallop and oyster. Each of these types of shell includes many varieties that come in many colors and sizes. Usually you will find one part of the shell washed up on the beach as it has broken apart while being rolled in the surf. For this reason, finding both sides of a bivalve attached, is rare. On the east coast of Florida the ark shells (pictured here) is widely found and it can be white, tan, gray, brown or any combination. Other bivalves that are sometimes found on Florida beaches are the pen shells, angel wing, Turkey wing, cockles, scallops, telling, clams, and jewel box. Oysters grow in shallow water and along the shores of islands in the Intracoastal Waterway. Oyster beds filter the water and are good for the environment, but are a hazard to boaters. The shells are sharp and can damage the hull, and cut feet. Each shell half in my photo measures approximately 3.5 inches across. So What Makes a Seashell Rare? Seashells are rare if they are not often found... no kidding ...you say? Well, that one is obvious. But rare shells are also the ones that have been created differently than the norm. For instance, a knobbed whelk shell is ordinarily right-handed, with it's opening on the right. But if a knobbed whelk mollusk gets confused, and makes it's shell backwards, then it's a rare shell. It's a left-handed knobbed whelk, of which there are not many. Of course in order to know which shell is not made like all the others, you need to know what the normal shell looks like. That is why I write about shells. I am learning along with my readers. Believe me, I am no shell expert. 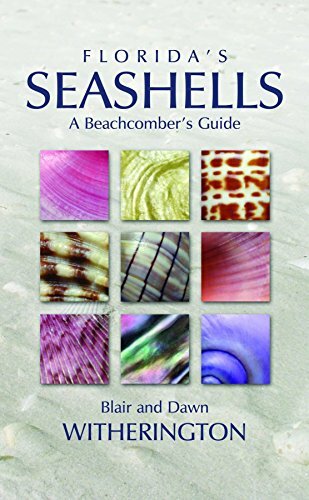 But if you want to know what the shell experts know (the conchologists) and the big time shell collectors, you may be interested in buying the type of book they use. I will warn you, some of them are expensive! Unless you plan to travel to far away beaches, buy a book that identifies shells found in the area you frequent. 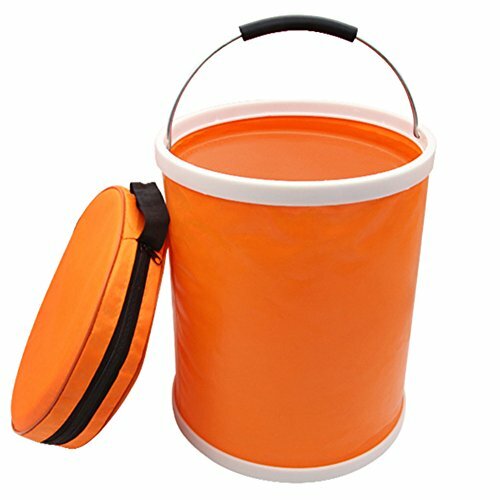 I never knew there were collapsable buckets! 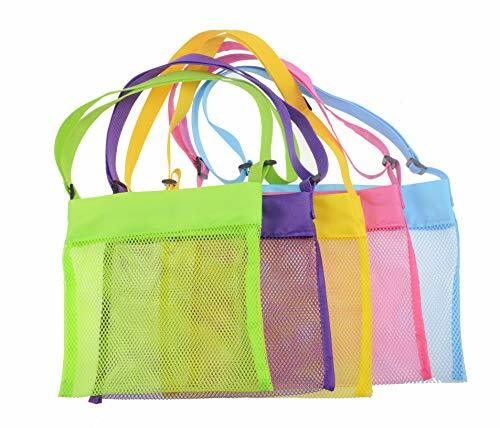 Great idea for travel with kids. Often they are hidden just beneath the surface and can be a hazard to boaters in the flats areas. Oysters clean the water, but their shells are ugly, and oyster beds, hidden by the tide, are dangerous to boaters. But they need a place to live after all. The more I get out on my boat and visit the backwater areas of the Indian River, the more hermit crabs I see. I'm always on the lookout for seashells. I enjoy collecting them, if I find something unique, but it must be empty too. The mollusk must be gone, which is usually how you find shells washed up on the shore. But in the case of empty shells out in the water, another type of sea life is happy to grab up that empty shell. Hermit crabs must always carry a shell as protection. For that reason hermit crabs in the wild will constantly be on the lookout for empty shells to call home. As the crab outgrows his shell, he will need another bigger one. Sometimes hermit crabs line up waiting to grab that special home. They will fight over it! Check out my blog post with a video of the giant horse conch eating a snail, and crabs moving in to collect that empty shell. I find loads of seashells of all kinds on my boating trips to the shallow backwaters, but they are almost always inhabited by some sort of hermit crab. I think his shell is a crown conch, but he is in need of a better one. Sea life and beach scenes on labels with your custom wording, or order blank to print your own. Please visit and follow my blog. This shiny shell looks as if it's made of porcelain. These are the cowry, or sometimes spelled cowrie, shells. I purchased them and didn't find them on the beach. 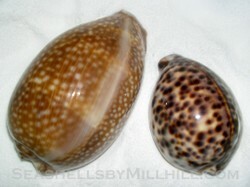 Both are quite large, with the Atlantic Deer cowry (on the left in the photo) is about four inches long. This type of shell is coveted by collectors for it's shiny porcelain appearance. I remember when I bought it that I wondered if it was a real shell because it seemed like it was made of glass. Some of the cowry shells were used as currency all over the world, many years ago. They are called money cowry - appropriately enough. In fact, I have read that in some places the shell is still used as such. Smaller versions of this shell are often used to make jewelry, and often times people will own a cowry necklace. I'm considering using this to make clay buttons for my knit garments. Do you have a nice collection of shells, or wish you did? A lot of the time people who collect shells have no idea what they are picking up from the beach. I do have a collection of seashells. I wish! Maybe one day. Not really interested in collecting them. I always took shells for granted until I began to learn about them. I don't have one of these, but they can be found on the Gulf coast of Florida. Florida has many miles of beaches, but for the serious shell collector, the Gulf coastline is the best place to do some beach-combing. The beaches of Sanibel Island are known as one of the best places in the world for shell collecting - coming in at #3 - for it's shell abundance and variety. It's the place where you could find a Junonia (pictured) which would be a treat, as finding one in great condition is rare. The large and small shells pictured in the photos below are shells I've had for years. Although I recognized the big one as a lighting whelk, the identity of the small one eluded me. As I was going through my seashell collection one day, I looked more closely at the little one and it dawned on me! It was a juvenile lighting whelk! I guess an expert would have known right away, but besides the fact that it is shaped the same, and the coloring of dark lines over white is similar, it's opening is on the left side! Gastropods are either sinistral or dextral. Lightning whelks are sinistral, or left-handed shells, meaning that when you hold them by the tip, or bottom, the aperture will be on the left as opposed to the right (dextral) like most gastropods. My photo here shows the lighting whelk (right) with the strawberry conch. If you happen to find a lighting whelk with the opening on the right, you've found a rare shell! Be aware that some shells, like the pear whelk, look a lot like a lightning whelk, and they open on the right. View the online collection and use the templates to customize. How Do Seashells Get Those Colors and Patterns? We tend to pick up the most colorful and unusual shells. The colors of shells are determined by their species and heredity mostly, but also by what the mollusk (animal inside) eats. The mantle also polishes the part of the shell it touches and that is why some shells are very shiny. The coloring can also add hardness and be a camouflage to predators. A good example of the use of shell camouflage, called countershading, is the Chambered Nautilus. The shape and type of shell produced will have to do with how and where the animal lives and hunts for food. If the shell has spines, like the murex, it may be to discourage predators, and if it's long and coiled, like the olive shell, it is useful for burrowing through sand. Sealife is amazing and diverse. Search for shells at low tide. The east coast of Florida has far fewer shells than the west coast. The high tide line is the best place to find them. Take a closer look at what's tucked into the sand beneath your feet! Every shell is unique and beautiful in it's own way and if you can get past the "bigger (shell) is better" mentality, you will discover some wonderful shells right under your feet. In Florida the coquina clams are abundant and can make a colorful collection. Conquinas can be just about any color and they live right along the wave line. In fact when you see shore birds feeding in that area, they are probably eating coquinas. Since they are so abundant, finding empty coquina shells are easy. In fact I don't have many in my collection because they were so common to see on the Florida coast, I just did not collect them. Other commonly found (in certain areas) small bivalves include jingle shells, kitten's paw, oyster and scallop shells. (The purple and pink splotched shells in this photo are calico scallops). LIttle gastropods (coiled shells in one piece) can be a great find with bumps and swirls of color, such as the Common nutmeg, moon snail and cowrie. And remember that the large shells will begin as juveniles and sometimes tiny versions of a magnificent shell can be found. Small empty (dead) seashells can be collected and used for crafts or decorating so don't overlook the little shells. Ask anyone what they would love to find while visiting the ocean and they will probably say a starfish or a sand dollar. Sea stars (commonly called starfish) and sand dollars are not really shells. They are echinoderms and if you find a dead one, you are seeing the exoskeleton of the once living animal. Sand dollars live on the sandy ocean floor and sea stars are also ocean dwelling, either moving over the bottom or clinging to coral and sea fans. They don't come up on shore unless they have been washed up by a storm. Living ones will not look like the one in this photo. If you find a white sand dollar on the beach, it has died and been bleached white by the sun. The sea urchin also belongs to this group, and all of these treasures will be more fragile than seashells and will break easily. Don't collect living seashells. They will die and smell bad, and in many areas it is against the law! Seashells will be empty if they are "dead" and okay to collect. If there is something protruding from the opening, or you see a hard cover over the opening, that means it is still occupied. Starfish and sand dollars will be bleached white or whitish by the sun and will be brittle. Anything washed up on shore is probably dead. If you come across something living, take a photo - don't take the shell! This horse conch I found was empty, but there were living things (those big bumps, which I think are coral) attached to the outside. So I took some pictures and put it back in the water. Know the rules of the beach. 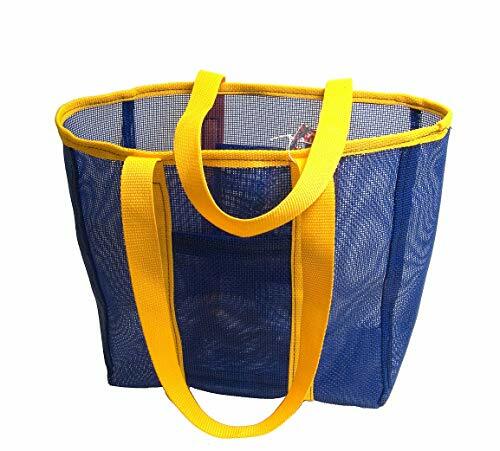 A tropical beach vacation is something many people plan all winter long so don't let your lack of knowledge get you into trouble. In many areas taking live seashells from their habitat is illegal. Also disturbing dunes and especially turtle nests (pictured) can get you into trouble. Be aware of the rules and laws wherever you visit or vacation and don't disturb or collect wildlife. 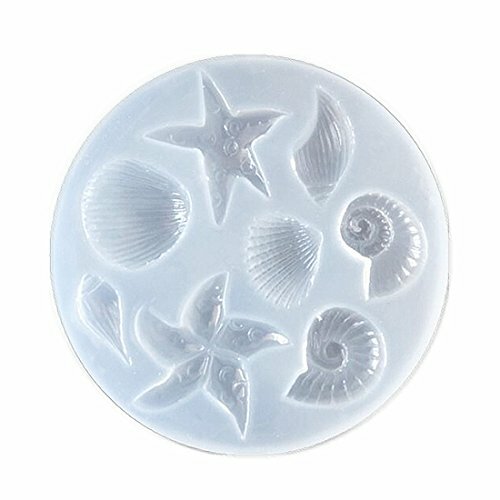 If you do take living sand dollars or seashells, you will be sorry when the animal dies and begins to stink. Swim where lifeguards are present, and check the conditions as there can often be riptides or strong undertow conditions. Sometimes jellyfish are dead on the beach, which means there could be some in the water too. Also be aware that hurricane season in Florida runs from June 1st through November 30th with August and September being the two most active months. You can't help it if a hurricane forms while you are on vacation, but knowing about evacuation proceedures and what to expect ahead of time is a good idea. What unique treasures have you collected from the sea? Thanks for that info Frank! Crushed shell can be a good soil additive to acid soils [below pH 7], as they would slowly dissolve the calcium in the shells into the soil and therefore moderate the acidity. Hi Frank, I believe the shells are more than decorative. I use fish fertilizer in my gardens and plants as well. Maybe the shells leach a little goodness into the soil. My way of thinking is that anything natural can't be bad. I have just noted that you dress up your potted plants with shells to hide the soil [dirt.] Using shells as mulch is a known technique, as I have heard of at least one New England gardener who uses oyster and mussel shells to mulch her plants. As she lives near the Ocean she has access to plenty of them. They protect her soil from rain damage and from drying out. Protecting potted plants with shells would be so easy!. @nina, there are forums for seashell collectors where you may be able to sell shells that are in very good condition. 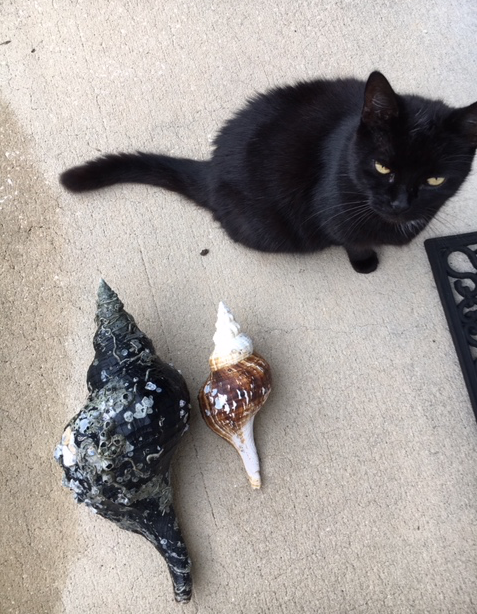 I don't buy and sell shells, so I'm not much help. I inherited a wonderful sea shell collection with several big pink conch's one measures 11.5 " across. Am in the process of down sizing and would like to sell them-other than ebay do you know of a place that i can sell them? Hi Robin, thanks for the comment. I have two big glass jars where most of my shells go, but I am running out of space! Some shells I put into my potted plants to "dress up" the dirt. And I've put some into the garden too. Yours is a good question that shell collectors face. I think I will have to think about it, research it, and write a page about it! Yes Frank, I believe so. Shells that normally spiral to the right, but are found with their spiral left are collectors items, and in some cases worth a lot of money ... from what I've read. Does the species name sinistrum indicate that the shell has a leftward spiral pattern, for the Latin word for left is sinister? With a little care taken, your trip to Florida and the beaches can be a happy memory. Most of us need a sun hat at one time or another. For fashion and practicality I have listed some of my favorite sun hats for women.